I am beginning to plan for those future years when digging in the garden is not such a pleasure. For that matter, there are already days when digging feels less like a hobby, pleasure, and form of worship and more like a chore, and so I am trying to have patches of perennials around that would carry me through a time when I did not feel able to dig. I am also trying to create deep mulched beds that would make it possible to grow annuals with less work, but more about that in another post. Stinging nettles are a real success. They have to be sited in a place where people and animals do not have to be exposed to them and get stung, but once established the only care they need is some water in my desert area, and cutting back in the winter so that the spring greens can be easily harvested. From now on, I will also cut back the withered stalks at the peak of late summer heat, so that when new shoots come up in the fall they can be gathered without much trouble. They are delicious when cooked, and there is no more nutritious green, so I am even thinking of starting a second patch in another out-of-the-way corner of the yard. I have written about their kitchen uses in a number of past posts, and I guess all I will say here about their flavor is that it is mild but somehow more intensely green than almost anything else that I’ve tasted. They have to be handled cautiously and with gloves to avoid stings, but I have read with fascination that some people believe in putting the raw greens into smoothies, and apparently they are edible raw in that form. There are also contests in some places in Europe in which raw nettles are eaten in large quantities. Bizarre, but then, people are. Suit yourself. 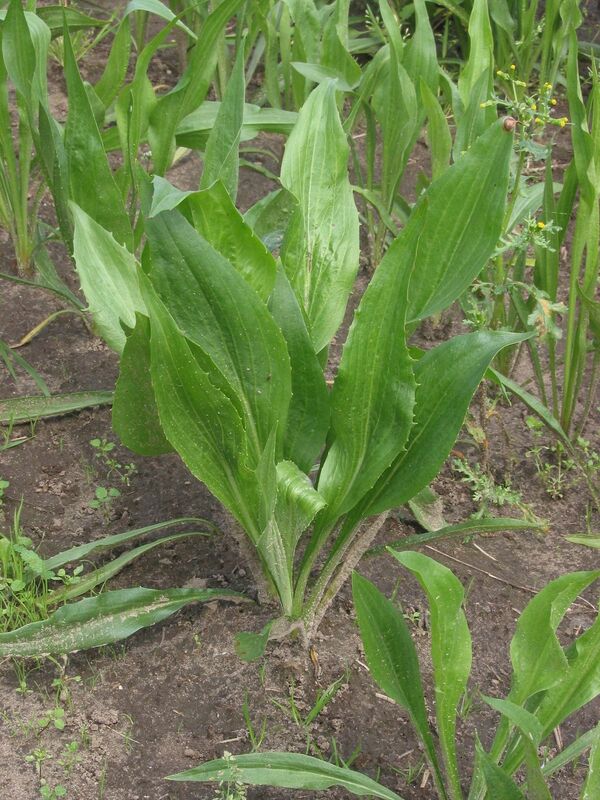 Scorzonera is a favorite of mine for its delicious stalks topped with tightly packed flower buds, and I have also learned to appreciate the leaves as a substantial but mild flavored addition to salads. It produces a small but useful second crop of leaves in late fall. It tolerates drought exceptionally well once established. I will be planting a lot more of this one. Be aware that I am talking about Scorzonera hispanica. There are other members of genus Scorzonera that have thready and insubstantial leaves. I don’t find the root to be worth the trouble of digging it up, and I leave it in the ground to make more leaves and stalks year after year with no labor on my part. Salsify produces long thin leaves which, in the spring, are tender and reasonably tasty. The buds are probably the best part of the plant, although they are tiny and you would need a fair sized patch to have enough to be worth eating. I have planted a new larger patch of it because I read somewhere that the long thin early spring leaves, when blanched for just a minute in boiling water, make a kind of “vegetable spaghetti“ that some people enjoy. I haven’t had a chance to try this yet but it would be a useful addition to my low-carb diet, which is “deficient “ in things to toss with butter and good Parmesan. Salsify is often grown for the roots, but I find the root fairly bland and not that interesting. I would certainly eat it if I were hungry, though. Asparagus is one of my favorite vegetables, and this coming spring I will be planting more of the purple kind, which I find most delicious. There is just nothing better. If only it were available in the garden for more of the year, I might not bother to grow anything else. 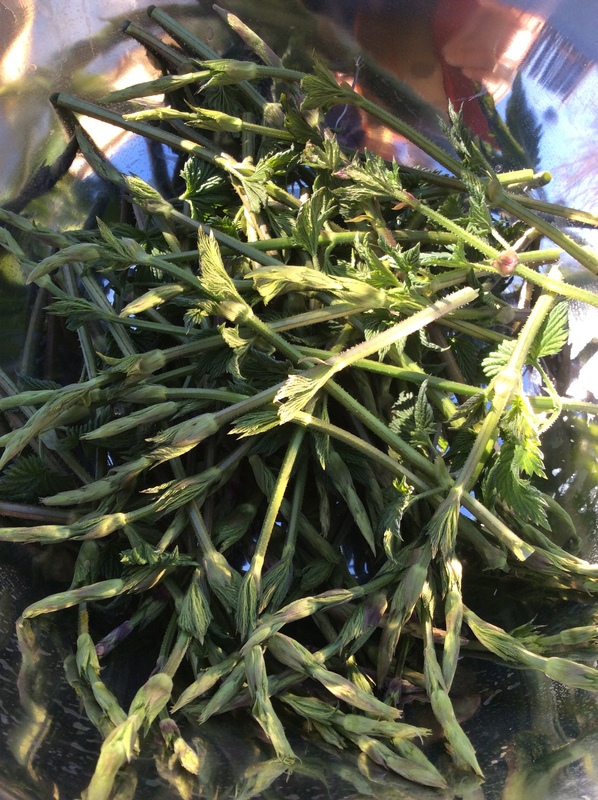 Turkish Rocket makes delicious buds when harvested at exactly the right phase, with a bitter-nutty flavor very much like broccoli rabe. The season for it is short but pleasurable. I have never found any culinary use for the leaves or older buds. Sorrel makes one of my favorite simple sauces when chiffonaded and stewed briefly in butter with a little salt. Salmon was born to be grilled and eaten with sorrel butter. In addition to a healthy large clump of spring leaves, it makes another, even better clump in late fall. Very deserving of garden space. 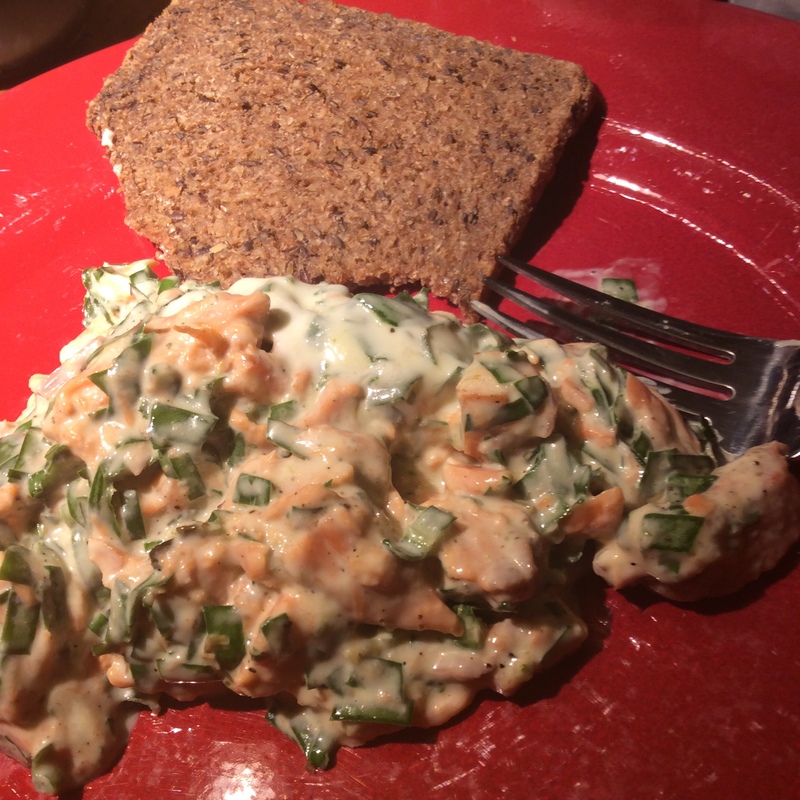 Above, you see the chiffonaded leaves used raw in salmon salad. It takes a surprising amount to make a good flavor impression, so think of sorrel as an ingredient, not a seasoning. Hops were planted all along my fences back when I used to brew beer. I don’t brew very much anymore, but hops shoots are a lovely wild-bitter tasty treat that I look forward to every spring. I am convinced that fancy preparation is a bad idea. Just rinse them, chop a bunch of them in 1 inch lengths, and fry quickly in olive oil with a generous pinch of salt. Nothing else. Be sure to let them form some browned crispy areas so they can taste their best. Mulberry can be kept tightly pruned or coppiced for an excellent harvest of small tender young leaves and shootsat the twig tips. Don’t try the leathery older leaves, and stems should be tender enough to easily nip off with your thumbnail. It matters which mulberry you get, since some have perfectly good leaves and some are awful. I surreptitiously tasted at the organic nursery where I bought mine, to get leaves that had no unusual toughness or off flavors. Mulberries have a good amount of resveratrol, but I have no idea about the resveratrol content of the leaves. I would guess, however, that it’s probably in there. Once you have a mulberry tree you have it forever, and the only problem is keeping it pruned tightly enough that you can reach the leaf tips. I recently learned from Samuel Thayer‘s newest book that the flowers can also be eaten in salads. I will be trying this next spring. If you have a yard goat, goats adore mulberry branches above almost anything else, and will happily eat up your prunings. There are some wild food books that claim that the leaves are hallucinogenic, and others that say the leaves are not hallucinogenic but the water in which they are cooked is. I call nonsense on all of this. 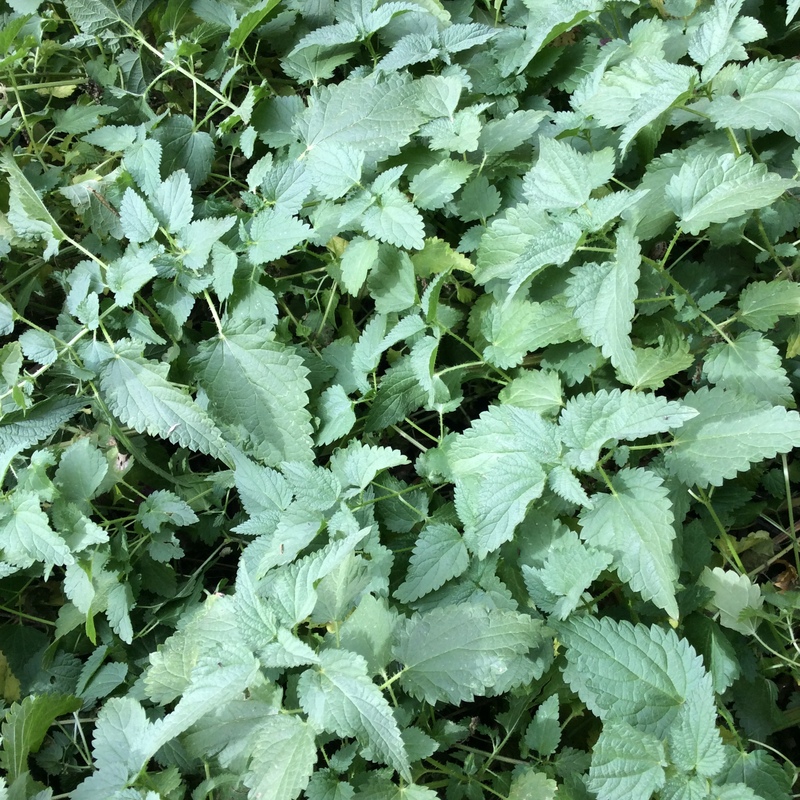 Young tender mulberry leaves are one of my favorite greens, and I eat a lot of them, and drink the water that they were cooked in, and nothing remotely interesting has ever happened as a result. Mulberry leaf tea is also widely used in Asian and given to children and old people, with absolutely no concerns. I don’t know where this stuff comes from. I am happy to say that Samuel Thayer, a profound expert on wild foods if ever there was one, talks about culinary use of the leaves and does not mention this at all. A tightly pruned or coppiced mulberry can be kept in any front yard, since if you keep cutting it back it doesn’t bloom, and after the first few years will provide a surprising amount of greens. Linden is in all the permaculture books as a tree with edible leaves that can be used in salads or cooked. I have two small Linden trees, and I love the scent when they bloom, but to my taste the leaves are a little bit bland and I prefer good Mulberry leaves. 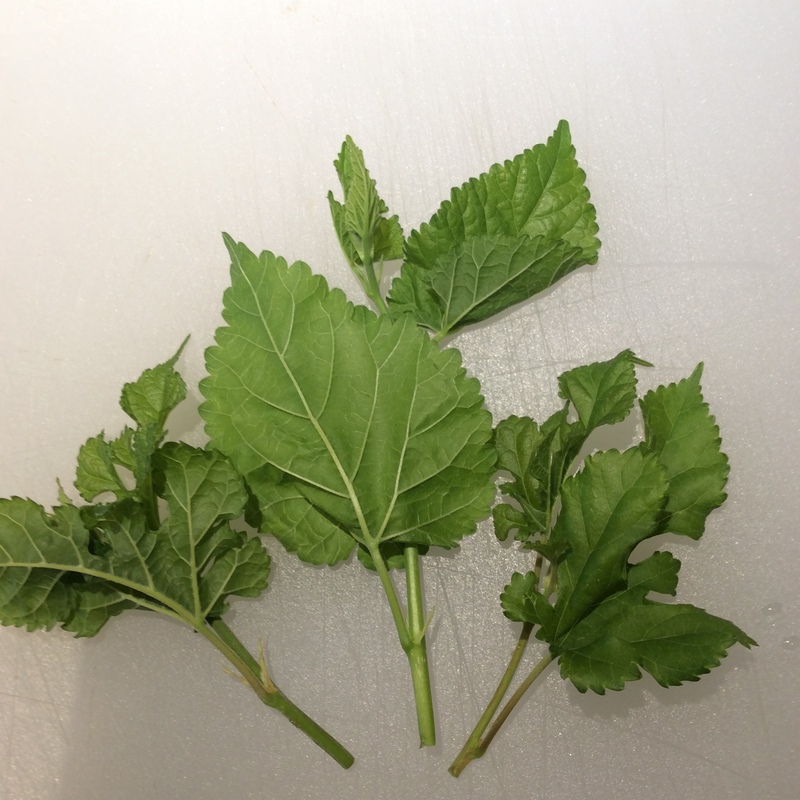 Still, they make a nice substantial addition to a salad with a good flavorful dressing, and are tenderest and best when gathered just as they emerge from their bracts. To my immense pleasure, I find that I have more perennial veggies of interest than I thought I had, so I will put the rest in a second post. Recently I came across a really interesting article on agricultural uses of mulberry leaves that also alludes to their use as human food. It also mentions something I have noticed myself, which is the great palatability of mulberry leaves to livestock. I believe it, because they taste good to me too.